The Palace was built around 1702, designed by the architect Carlo Fontana. While the external aspect is rather linear, the interior has ceilings with frescoes, statues and magnificent stairways. It was finished by the architect Alessandro Cecchini about 15 years later, when Fontana and the owner Marquis had died. The children had the garden sistemated in 1740. The poet Giuseppe Giusti lived in the palace and died in 1850.In 1920 it was bought by Egisto Fabbri, an art collector who installed his collection here.Currently owned by the Ricci family, it is partialy used as a center for events and conventions with a small boutique hotel and partialy as a private house. The Decription The six double rooms & suite of the historical residence Home in Palace have an elegant and exclusive style. Luminous and quiet, designed respecting the principles of Feng Shui philosophy, with the bed frames all facing north, are the ideal place to guarantee relax and recovery of energy. From the windows you can enjoy the wonderful views on the city or surrounding hills. The Description The idea was to build a Palazzo that would mirror the notions of Florence architecture, with a new style that would fit in with the décor of the rest of the city. Fontana wished to create a residence that could compare with a place, drawing inspiration from Palazzo Pitti. The imposing main façade, which pays tribute to Florence ashlar-work, has nineteen windows, a balcony and stone cornice around the main entrance. However, the architect's creativity truly comes to the fore on the internal façade which is characterized by two projecting side elements, with a central loggia that opens onto the garden. The Description The largest piano nobile or main floor in Florence opens with the Gallery that overlooks an Italian-style garden. This makes it possible to capture the maximum amount of daylight from the outside, creating refractive light play between the various rooms. 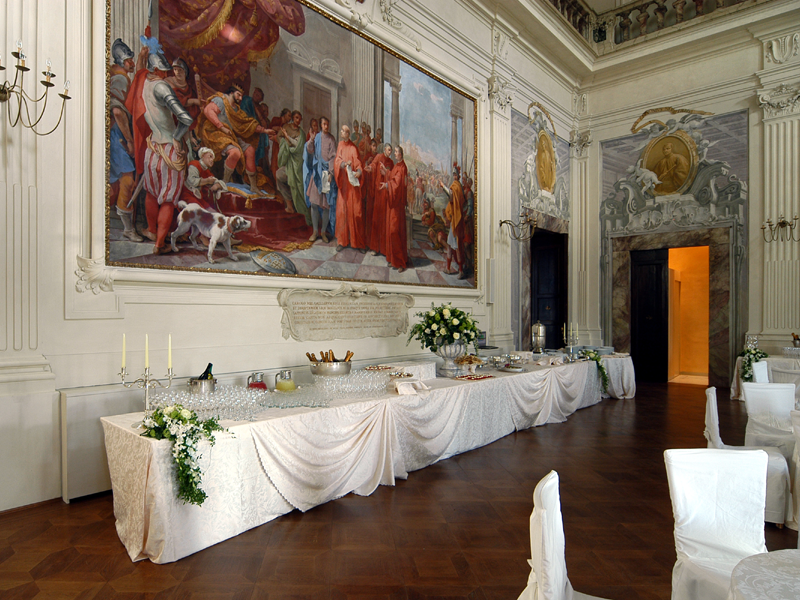 This area leads on to the other rooms: the huge Salone delle Feste or Ballroom, and the smaller Sala del Ciseri, the drawing-room situated at the end of the Gallery. 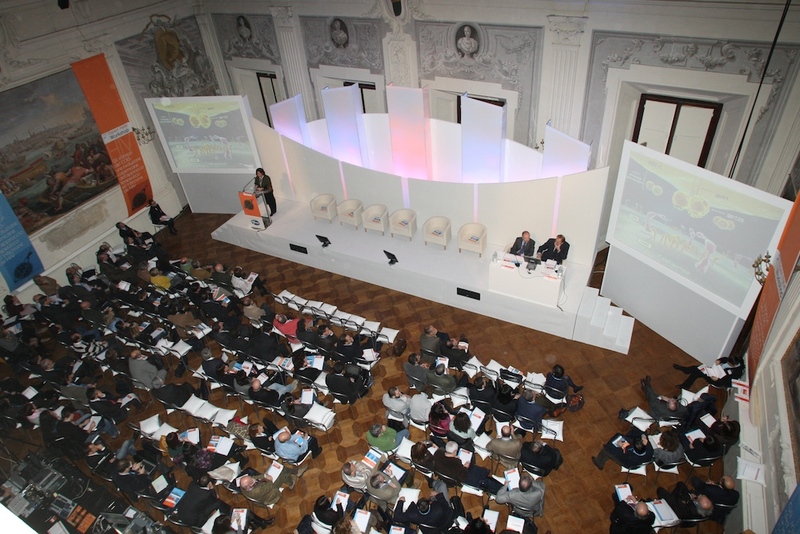 The Description Palazzo Capponi is an atmospheric venue, the ideal place for organizing interesting events and business meeting. 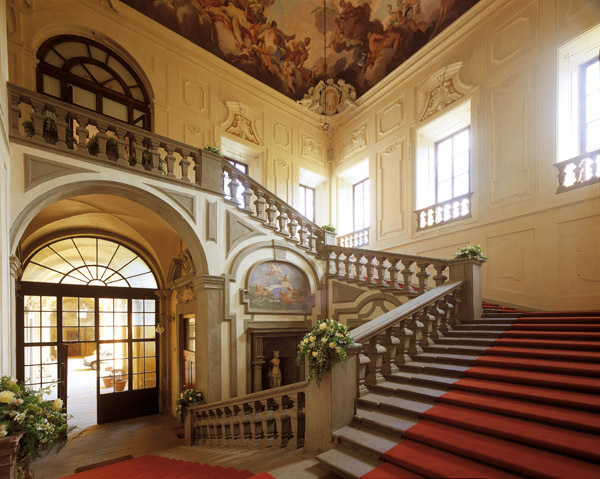 This ancient building can suit the requirements of a clientele thet is looking for a prestigious venue for holding conferences and seminars, cultural events, gala dinners, private parties, fashion shows, photo shoots, as well as the fringe events held during Florence's numerous functions.